Nathaniel Chalobah knows what representing England is all about – nobody has done it more as a youth international. But those 97 caps will pale into insignificance when the Lambeth-raised midfielder belatedly makes his senior bow after missing the World Cup due to a horror injury more common in skiers. Chalobah had looked primed for a place on the plane to Russia at the start of last season, having decided to cut ties with Chelsea after 10 league appearances and six loan spells away from the club. Watford was his first temporary switch and became his permanent home, with his fine start to life at Vicarage Road leading long-term admirer Gareth Southgate to give the 23-year-old his first call-up. Chalobah was one of two fresh faces in the squad for last September’s World Cup qualifiers against Malta and Slovakia, but a knee injury later that month would scupper his plans. The other new boy, by contrast, was Harry Maguire. “A fractured kneecap – it’s not one in football really, to be fair,” Chalobah said. “It’s more of a skier’s injury I heard. But I don’t know, I was just unlucky I think, but it is behind me now. Asked if he was worried of putting people off their food, Chalobah said with a smile: “Yeah, exactly. “I had the op and couldn’t bend my leg for a few weeks, which meant I lost a lot of muscle and then I had to let the tendon heal and so on and so forth. Chalobah had hoped to squeeze into the World Cup reckoning, but only got back on the pitch a few weeks before the end of the season. His substitute appearance in Watford’s season-ending trip to Manchester United was a welcome boost after a 237-day absence and the midfielder continued to build fitness in England’s pre-Russia preparation camp. “It was fantastic,” Chalobah said, before leaving the camp to join the nation in “screaming down the telly and supporting the boys”. “It was bittersweet, really, for me because you know if, let’s say, maybe I was fit I could have been in contention. “But it was unfortunate at the time that I was going in knowing full well it was just more about the experience side of things for me. “But, yeah, it was a great one for me, really, because this group of players – as everyone has seen – they did really well in the tournament. “I knew it was going to happen because I’d seen the way they were working together, and I had seen the bond the group was getting together. 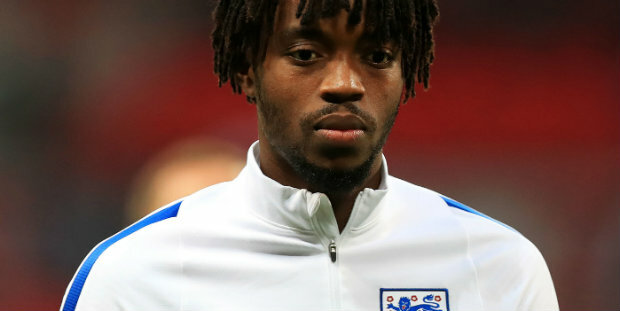 Southgate regularly spoke to Chalobah during his period on the sidelines, although the call-up for the Nations League double-header in Croatia and Spain came as a pleasant surprise. The 23-year has just four Premier League minutes and two Carabao Cup starts under his belt this term, making him determined to repay Southgate’s faith and earn his first cap after playing for his country so many times at youth level. “I think it’s OK when everyone says I’ve had 100 or so caps for the younger age groups,” Chalobah told BBC Radio 5 Live and talkSPORT. “But I’m more interested in trying to get that cap for the senior squad. Be the first to comment on "Fit-again Watford star ready for his big chance"